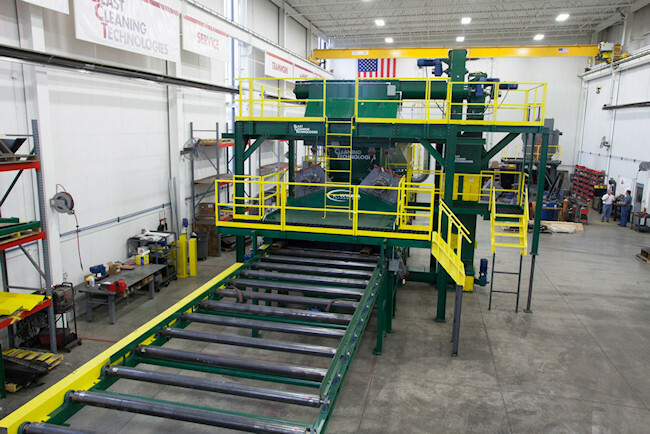 Blast Cleaning Technologies Roll Conveyors are ideal for shot blasting and cleaning structural shapes, plate or fabrications that can be moved on the conveyor system through the blast cabinet. 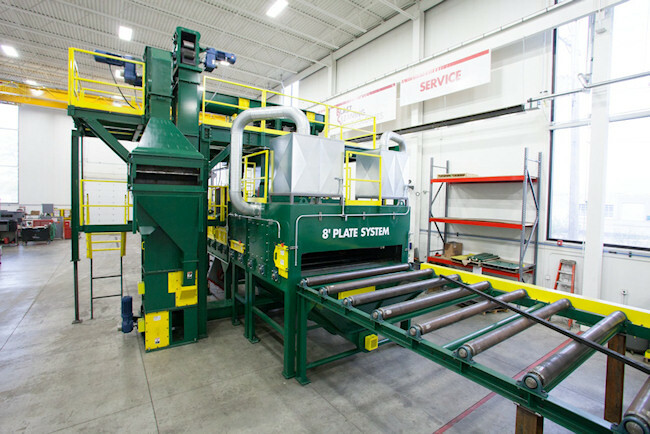 The roller conveyor delivers the parts through the blast cabinet and the number of shot blast wheels vary depending on line speed and cleaning specifications required. Entrance and exit vestibules with “no tools” mounting system.